…Don’t judge me. 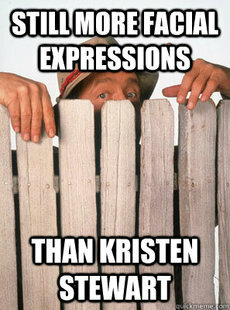 We’ve been discussing old TGIF programming at work lately. Speaking of which, did you hear about THIS?? Awwwww yisssss! So, remember that one time when this little ol’ blog was nominated for a big honkin’ award? Today, July 17th (until midnight), is the last day to vote! If you’re so inclined, please hop on over to the RESOLVE page and vote with every email address you have. Please also read the other nominees’ posts, as they are fantastic entries! If you’ve been in the Infertility Game for a while, you probably know all about the different online resources available for education and support. I have a few of them singled out on my Infertility Resources page, but there are many others out there as well. 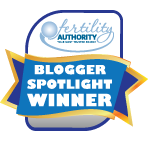 One of my favorite resources is FertilityAuthority. The site has great informational articles, blog posts by real women with real feelings and real snark who are on this rollercoaster with us, and a really nice resource for locating a doctor or clinic in your area. The best part about said resource is that you get connected with a real live person at FertilityAuthority, and they can help you find the best medical match in your neck of the woods. I just love that there are organizations out there to help women going through the frustration of infertility, and FertilityAuthority is one of the best, in my opinion. They also have a forums site called FertileThoughts, which is a great place to connect with others who are in exactly the same boat as you. I’ve been a member for quite some time, and I’ve met some great people there! If you’re interested in joining, there’s another badge in the sidebar to the right, and a link on the Infertility Resources page, that will link you right over. FertilityAuthority is going to be featuring this little ol’ blog as their Blog of the Week in the newsletter they put out called The Daily Shot! WOO! I’m excited to be featured, and even more excited to have this connection with an organization for which I have so much respect! If you want to receive The Daily Shot newsletter (and read the Blog of the Week entry – I’ll be featured the week of July 23rd), you can click here to sign up, and to read the archives which contain a wealth of information and some fabulous featured bloggers. So there. Stuff and Things. A little of this and a little of that, and a few links for good measure. I hope there’s some information here that helps you! Do you have any go-to websites for information, support, or blogs that we should all be reading? If so, please share them in the comments! 🙂 We both referenced Full House yesterday.